Elizabeth Kirkhart is an associate in the Tampa office of Lewis Brisbois and is a member of the General Liability Practice. She handles matters that range from commercial and personal premises liability to automobile and trucking liability. She is involved in matters from inception and often begins the investigation and defense within hours of an accident. Prior to joining this firm, Ms. Kirkhart worked in the insurance industry for over a decade and handled personal auto, commercial and homeowner’s liability claims and lawsuits. She also handled subrogation, bodily injury, property damage and collision claims in multiple venues. Her prior experience gives her a strong insight into the needs and interests of insured and insurance clients as she represents them in her current position. For most of her time in the insurance industry, she focused on Florida liability claims including defense for fatality and serious injury claims. Ms. Kirkhart managed the litigation department for a well-known insurer for personal auto lawsuits across thirteen states. Ms. Kirkhart has participated in over three hundred mediations and handled thousands of lawsuits through settlement, arbitration or trial. 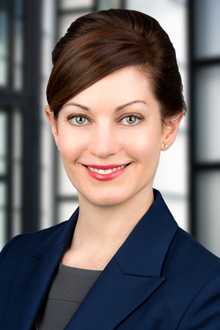 Ms. Kirkhart has a robust insurance background and years of experience moving files through the litigation process. Additionally, Ms. Kirkhart is an advocate for sustainable and environmentally friendly farming, waste reduction and recycling and the benefits of nutritional food availability and education. She volunteers with Keep Tampa Bay Beautiful, Gasparilla Music Festival and the Hillsborough County Humane Society.